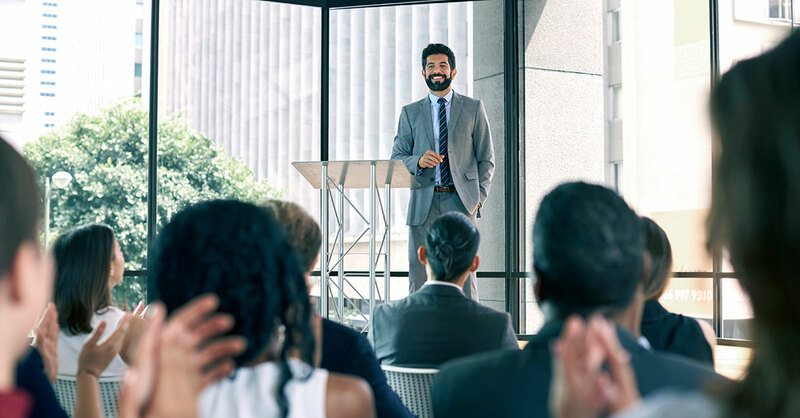 From the first impression you make in a room to closing arguments for a business case, executive presence and storytelling are the one-two punch you need to reach the hearts and minds of your audience to motivate them to action — something data reports and PowerPoints have yet to do on their own. This highly-coached two-day workshop grounds participants in the neuroscience behind communication and storytelling then helps them apply those principles as they develop personal presence style that reflects their individual personality and values. Next, we define what makes a great story and teach participants how to create one that will influence the action they want their audience to take. Finally, we share best practices for visuals that will help participants enhance and support their message. Along the way, we give participants time to pull out their laptops and apply these learnings to a current project or presentation they're working on.